Casino Yellowhead is located in Edmonton, Alberta, Canada. It is the largest casino located in Western Canada. It is one of four casinos owned and operated by Casino ABS. It was first opened in 2000 and it now has over 75,000 square feet of gaming space. A western them is used in the casino. The casino won the Edmonton Journal 2015 Readers Choice award for the favorite casino. They offer a great combination go gaming, promotions, entertainment, dining and overall excitement for all that choose to visit them. The large casino floor means that there are plenty of games for everyone. Slot machines, table games, video lottery terminals and much more. The sounds of all of the visitors to the casino winning big make this an exciting place to be. There are over 770 slot machines on the floor. They include the traditional reel machines, video slots, video poker, progressive and other machines. The games run from the penny machines that some people love up to the high limit slot machines that can be found in the high limit room. Visitors can make arrangements to play their favorite slots with the VIP slots host. The 10 video lottery terminals allow players to partake in the lottery with the chance of winning a life changing jackpot. Players can use the five party blackjack tables in the cherry pit. While they are in this area they can enjoy the card games along with the cherry pit go-go dancers. There is also a high limit room for the table games for those that want to wager larger amounts and get the special treatment that the VIPs deserve. The poker room has 12 tables available. They offer live games and tournament play. There is always something going on at Casino Yellowhead. They have many tournaments for the slots and for the table games. The poker room has tournaments every Monday and Friday with a $100 buy in, on Wednesdays and Saturdays with a $50 buy in and on the second Saturday with a $300 buy in. Visitors can also join the Club West players club. Membership to this club is free and the members earn points when they play the games at the casino. 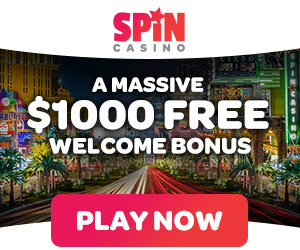 The points that are earned can provide the players with great rewards that include daily prizes, ticket giveaways, entries into cash drawings and free food or beverages. When a player wants to take a break from the gaming they can sit back and enjoy cocktails in Spurs or food from the Stagecoach Grille. In Spurs, hockey games always seem to be played on the televisions. There is also the buffalo bar where people can take some time and enjoy a few drinks or food from the grille.